“So what do you want me to Shoot C-note? One doe? Three? A spike?” I asked Clayton. He and his wife just welcomed a new baby last week, and I waited all the way until the umbilical cord was cut before hitting him up about a deer hunt at his family’s awesome ranch. Cause you know, right after your baby is born you’ve got just tons of free time. And with that, he left me overlooking a green rye field at 3:00. At 3:10 a giant (by Andy Standards™) 10 or 12 point came galloping from behind me. 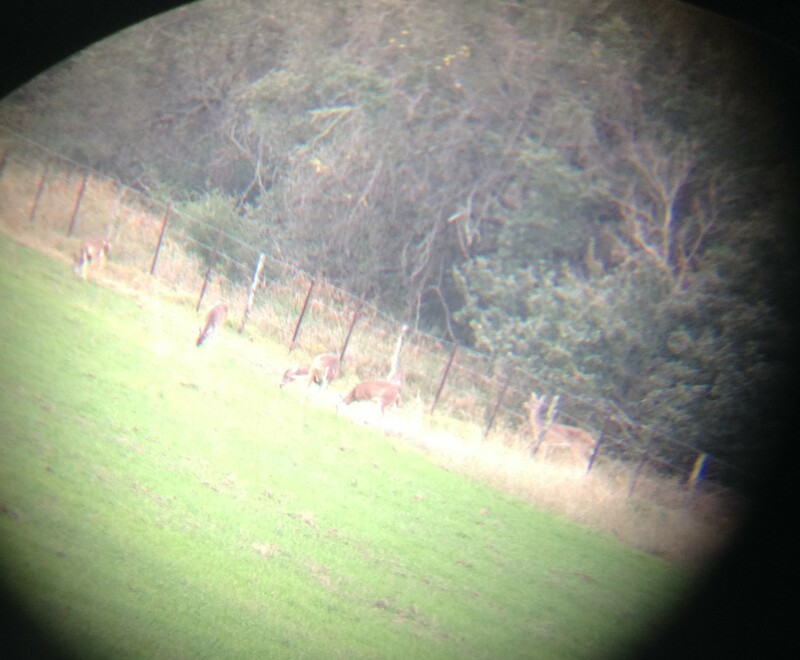 I sent Clayton a text telling him about it and he said to take a picture through my scope. But it was moving so fast, I couldn’t get it lined up. Soon it was gone. 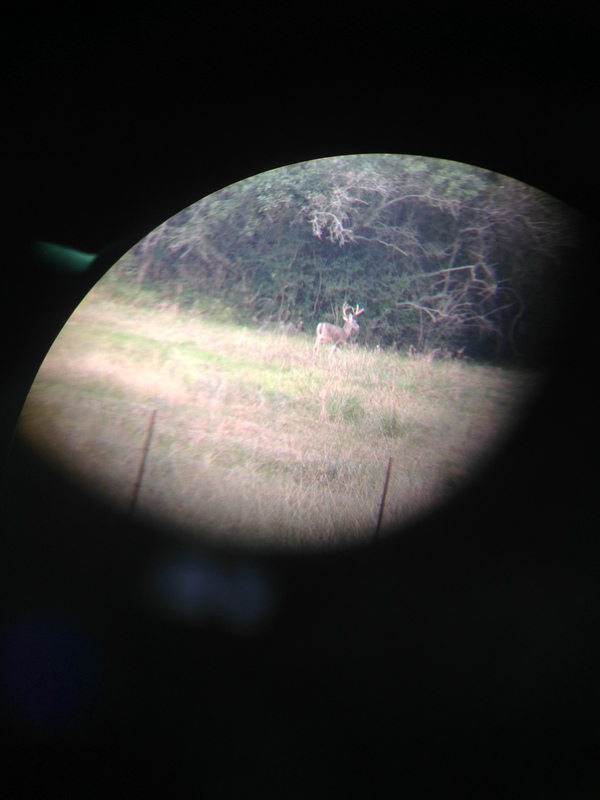 I probably should have shot it, because if you are going by the King Ranch Cull Buck Definition, and not the Andy Standards™, it just might have been a cull. Maybe. Actually, I doubt it. 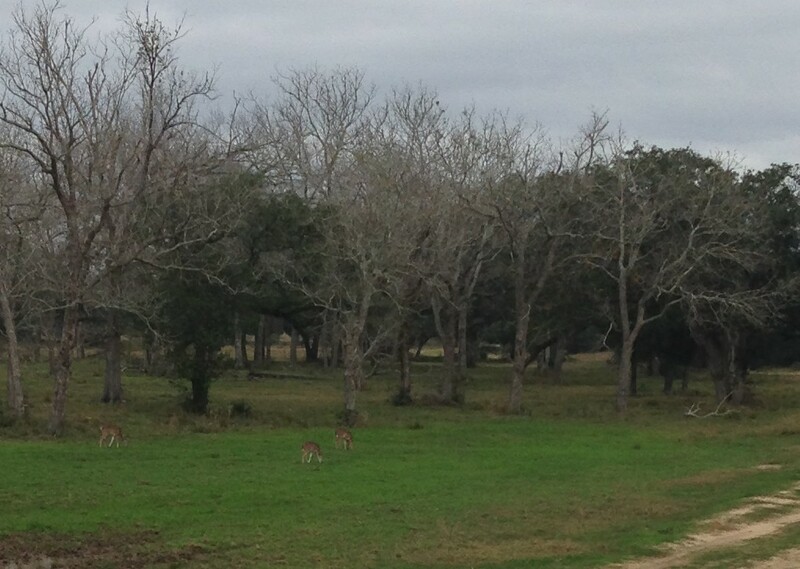 Nonetheless, to my right appeared just what I was looking for: four fat doe. 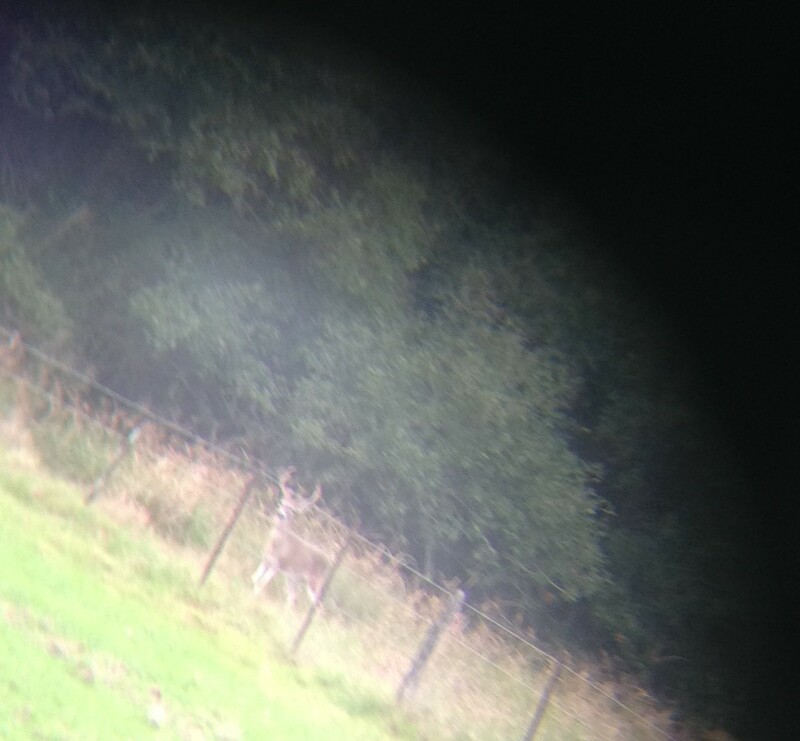 And on my left, about 250 yards away a few more appeared. 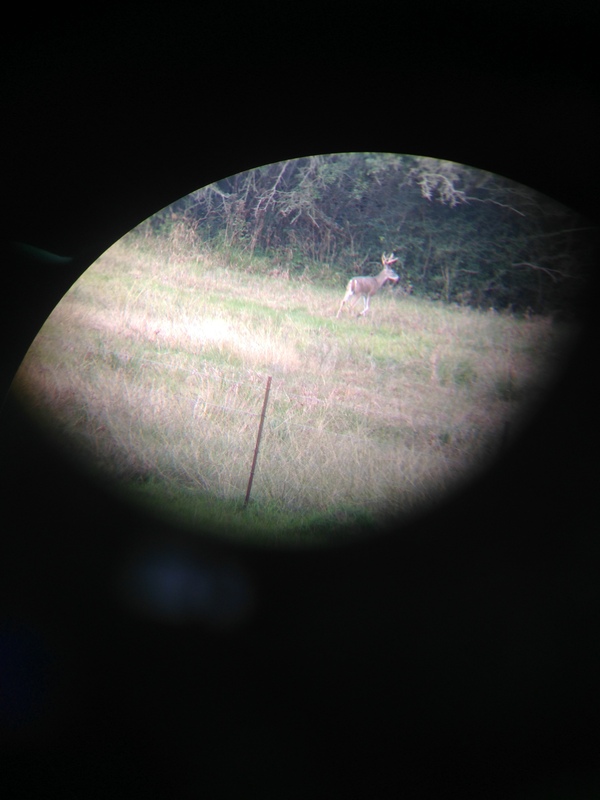 I decided to go ahead and shoot one of the mature does. She stumbled forward and died quickly. 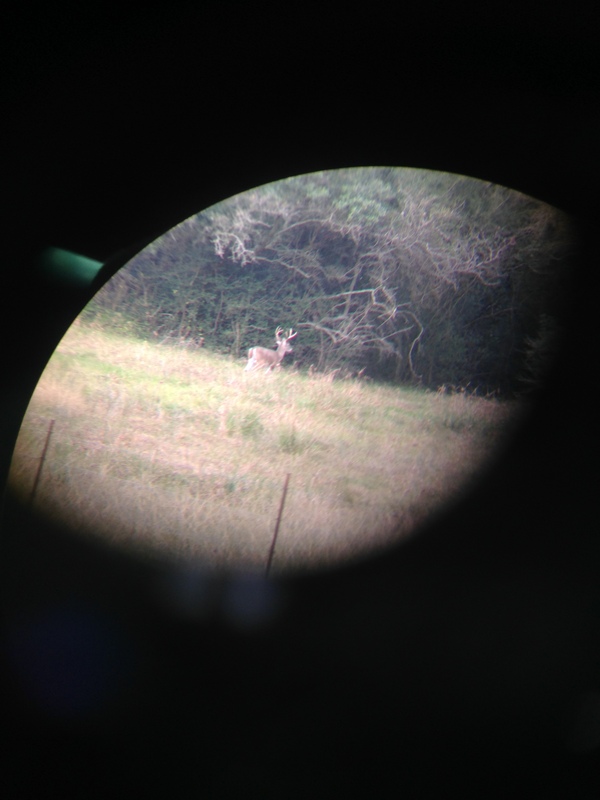 Meanwhile, a nice young 8 point came out of the woods to inspect the strange noise. I took this opportunity to mess with my friend. 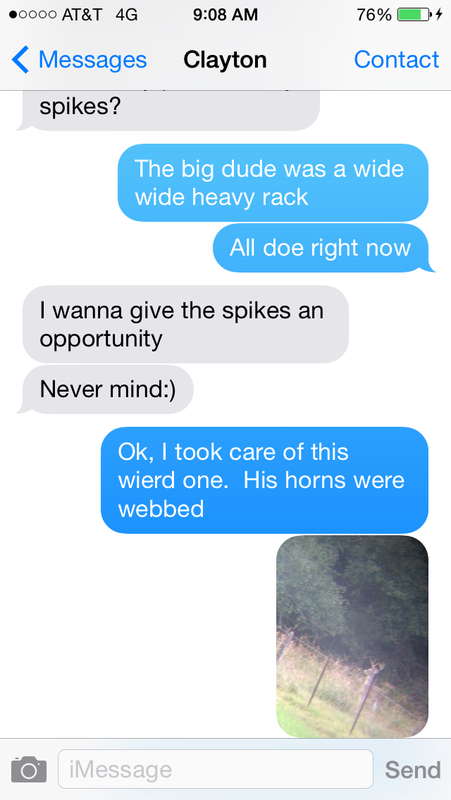 He’d just texted me to pass on the spikes, when I shot. Of course I didn’t shoot the young buck, who inexplicably stayed down wind of me playing around just for the fun of it. So then I guess he finally winded me and decided to leave. 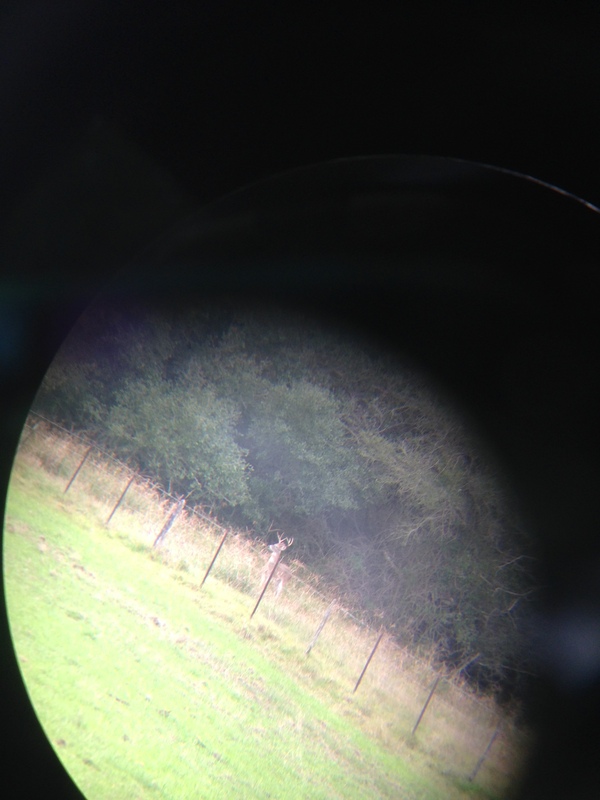 But not before I took some more scope pictures. 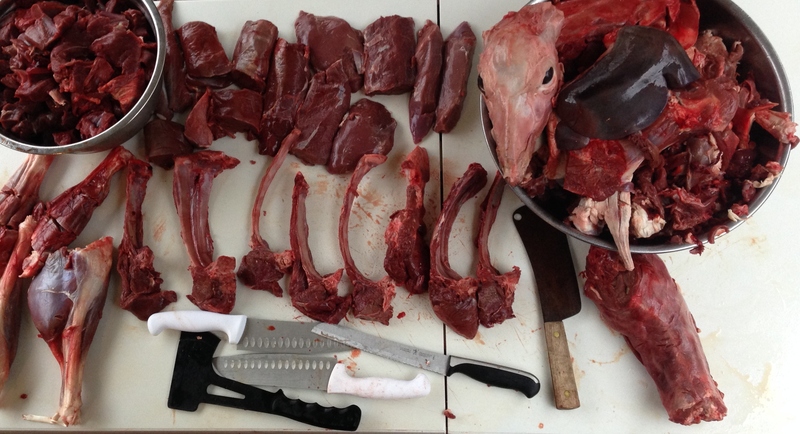 My first go at fancy butchering. Clayton and I have growing families and our free time is limited. Still, it’s important to sneak away and have a good time. This Christmas, I’m thankful for my pals who have time to slip away and do manly things with me. Glad it worked out like it did. We were able to get home early enough for me to put kids to bed. Enjoyed it! Let’s go back for those spikes next year.